After some silence a new piece for Foreign Policy’s AfPak Channel, looking at Britain’s jihad and its connection with South Asia around the case of Munir Farooqi. Also, did a short interview with CNN on the ever-troublesome question of Lone Wolves. The successful conviction in Manchester, Northern England, of Munir Farooqi, Matthew Newton and Israr Malik, highlighted once again (as if more proof was needed) the existence of the dark connection between Britain and the war in Afghanistan. A former Taliban fighter who had returned to Manchester after being picked up on the battlefield not long after the U.S. invasion by Northern Alliance forces, Farooqi ran a recruitment network in Northern England that fed an unknown number of fighters to the fight alongside the Taliban in Afghanistan. What was most striking about the case, however, was the way it exposed the method by which recruitment cells operate in the United Kingdom, following a model that is likely emulated elsewhere in the west. Munir Farooqi first came to the United Kingdom when he was about five years old. Born in Pakistan, he is part of the community of migrants from Pakistan who came to the West during the first large-scale migrations in the 1960s from their homes in South Asia. Brought up largely in the United Kingdom, he speaks with a pronounced regional British accent and is married with three children. A strong part of him, however, remained attached to his community in South Asia, and following the American invasion of Afghanistan in October 2001 he immediately headed back to join the Taliban. His experience on the battlefield was short lived, and by November he had been captured as part of a Northern Alliance operation in the northern city of Mazar-e-Sharif. Held in one of General Rashid Dostum’s prisons, he was fortunate enough to be moved to a Pakistani jail, from where his British wife was able to come and fetch him for a fee in May 2002. He used two bases of operations to draw young men to his cause. In public, he ran dawah (propagation) stalls in Manchester and nearby Longsight city centers. Here he would welcome individuals in and try to share with them information on his view of the world — and it was at both of these that on separate occasions in November 2008 and January 2009 two undercover officers (who were unaware of each other) approached the stalls to make contact with the group. Approaching Farooqi at the Longsight location, undercover officer “Ray” made contact on November 26, 2008. Over the space of the next couple of months, “Ray” converted to Islam, and then on January 4, 2009, undercover officer “Simon” also made contact with the cell approaching a stall being run in central Manchester by Farooqi and co-defendent Matthew Netwon, a convert who came across Farooqi in 2008 soon after he became a Muslim. Claiming to be a recovering alcoholic seeking meaning, “Simon” also converted to Islam with the group, and slowly gained their confidence. In bringing the men gradually into his web, Farooqi would take them to his home from where he ran a massive operation churning out radical videos and books — he was caught with some 50,000 items of literature and 5,000 DVDs. Here he would weave them tales about jihad, drawing on his own experiences to gradually persuade them of the glory of fighting in Afghanistan. A charismatic figure, he was able to quickly persuade individuals to come to his views, as characterized by Newton, who was rapidly drawn to Farooqi’s way of thinking after the two met. Newton, like Farooqi, was convicted of of “preparing terror acts, soliciting to murder and disseminating terrorist literature” and was sentenced to six years in jail. Having drawn people in, Farooqi ensured that they stayed within his orbit, telling them which mosques to go to and following up with them when they got into trouble. When another co-defendant, Israr Malik, was incarcerated on unrelated charges, Farooqi made a point of visiting him in jail where he passed him radical material to share amongst fellow prisoners. A lost soul who had become involved in criminal activity after breaking up with his girlfriend, Malik was drawn to one of Farooqi’s stalls in 2008, only to become another in the production line of radicals he was helping develop, with the intention of persuading them to go and fight in Afghanistan. He was also incarcerated for two counts of soliciting murder and preparing for acts of terrorism. This model of recruitment was one that has been seen before in the United Kingdom: Mohammed Hamid, the self-proclaimed “Osama bin London” who helped take over hook-handed radical imam Abu Hamza’s mosque after he was incarcerated, used to run dawah stalls in London, where he would make contact with dispossessed young men and, eventually, another undercover officer. A reformed drug addict himself, Hamid ran discussion groups out of his home, had been to Pakistani training camps, and offered connections for aspiring fighters who wanted to go abroad. Most prominently, Hamid ran training camps in the U.K.’s Lake District that a number of the July 21, 2005 attempted bombers attended. He is currently finishing up a sentence in prison alongside a network of young men he recruited, including some who were attempting to go to Somalia to fight and others who did in fact go. It remains unclear exactly how many people Farooqi was able to persuade to go and fight in Afghanistan. One estimate published in the local press said some 20 people had been sent over, A figure that seems quite low for an operation that could have been going on for as long as eight years. However, this small number likely reflects the reality of how large the actual number of British citizens being persuaded to go and fight really is. As author and journalist Jason Burke put it recently, quoting British intelligence officials, “the years from 2004 to 2007 saw the highpoint of the flow of volunteers from the UK to [Pakistan’s Federally Administered Tribal Areas, or FATA]. Never more than a few score in any one year, their number has now been reduced to a handful.” But given recent stories of British martyrs being praised in jihadi videos, former British prisoners turning up as suicide bombers in Kabul, and a small number of former Taliban fighters continuing to live in the United Kingdom, it seems likely that this trickle may continue for some time. 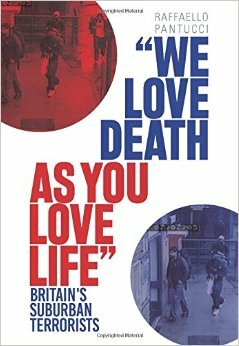 Raffaello Pantucci is an associate fellow at the International Center for the Study of Radicalisation (ICSR) and the author of the forthcoming We Love Death As You Love Life: Britain’s Suburban Mujahedeen.